This article originally appeared in the University of Findlay’s summer edition of Findlay Magazine. Everyone goes to the grocery store. Picking out produce, grabbing some milk and figuring out what to buy for dinner are routine tasks for most people, but have you ever thought about how groceries are marketed or how stores target different demographics? 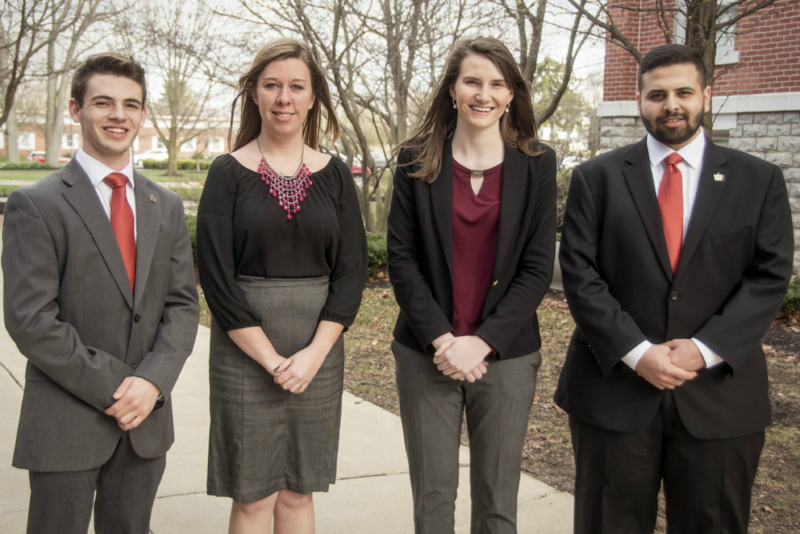 These are the questions four College of Business students from the University of Findlay faced as they prepared to compete in the Student Case Study Competition at this year’s National Grocers Association Show. Graduating seniors Catherine Schnipke ’17 and Rayan Alghuraibi ’17 and sophomores, Tyler Adkins and Natalie Swift, traveled to Las Vegas for this trade show for the independent supermarket industry along with Eric Stoller, assistant professor of sport and event management at the University of Findlay, who acted as their faculty advisor. “Grocery shopping is one of those things that you take for granted, but there’s so much more to it behind the scenes. That’s what really intrigued me. It’s something that I’d always been exposed to; I go in every week, but never realized how much went into it,” said Adkins, a marketing major. Marketing and finance major Catherine Schnipke, who also had the opportunity to be a part of UF’s team in 2016, said, “The things that we used here will apply to any industry.” Though each of the found the experience benefited them in unique ways, they all agree the challenge gave them the chance to explore the industry, use some creativity in the field and find the spirit of competition. For the competition, the team presented multiple solutions to improve the grocery shopping experience for millennials to a panel of judges. As millennials themselves, they were able to draw from their own experience in addition to the research. “Initiating new things to attract millennials is a big question in today’s world,” Schnipke said. 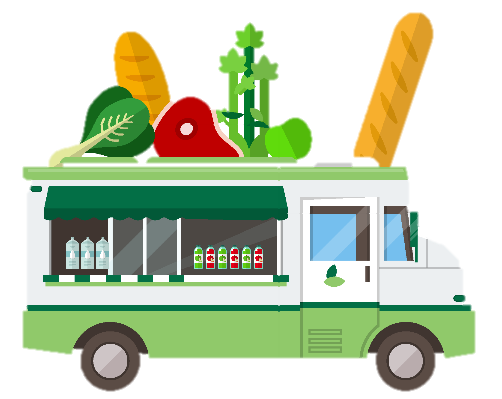 Catering to the generation’s need for quick convenience, the team came up with a big idea for a store bus implemented by the grocery chain that would travel to key locations to make it easy for millennials to shop with the chain. The bus would travel to universities, inner cities and metropolitan areas where millennials are more likely to work. “Our research said millennials are walking or riding a bike because of the effects of driving on the environment and to avoid spending money on gas. They’re also very family oriented, so this would be a real time saver as opposed to walking back and forth across an entire store. We make it convenient which is what millennials crave, but also they’re becoming brand loyal without realizing it,” said Schnipke. Though their presentation included multiple solutions to the case, the bus was definitely something unique and creative that we were proud of, we had the chance to literally let our creative juices flow,” said Natalie Swift. They also appealed to millennials’ interests in healthy eating and brand loyalty by presenting ideas for a rewards program, healthy tags to show customers where to find healthy items and an app that pulled everything together. “The app would be the connection between the users and all the features the store had,” explained finance major Alghuraibi; by combining grocery lists, online orders, sale notifications, recipes, health information and a location tracker for the bus, it would be a key tool for customers. While Findlay didn’t win the competition, the students not only learned from their competitors, but the entire grip gave them opportunities they could not experience in the classroom. From the beginning, Swift thought, “It’s a hands-on experience. When am I going to have the chance to do this again? Whether we win or not, we’re going to learn a lot from the process and the trip.” As a sport and event management major, Swift took a keen interest in the production of the convention. With an interest in becoming a corporate event planner in the trade show area, “I loved being able to see the different workshops, centers, rooms and scheduled and how they came together. I truly enjoyed learning about all the logistics, the details and interacting with customers. It really confirmed where I want to go,” she said. Attending the conference also empowered students to network with top executive sin the industry. “You just don’t get networking opportunities like that on campus,” said Swift. “When you’re thrown on the spot like that, you never know who you’re going to meet. That was the best part of the trip for me,” Swift said. Swift wasn’t the only student to take advantage of the networking environment. Adkins took the opportunity to learn from the people he met based on his own aspirations. “The NGA hosts independent grocers. Those are all flat level organizations. The entrepreneur is really close to what’s going on. I had the opportunity to speak with the entrepreneurs, learn from them and talk about their process and struggles. Speaking with entrepreneurs who have had success was inspiring for me as someone who wants to be an entrepreneur one day.” Adkins said he spent a half hour with the CEO of Harps Food Stores, a grocery chain in the southern US, learning about pricing strategies.